In a large bowl, dip bananas in pancake batter. In a large skillet over medium-low heat, melt butter. Add dipped bananas and let cook until golden, 2 minutes per side. 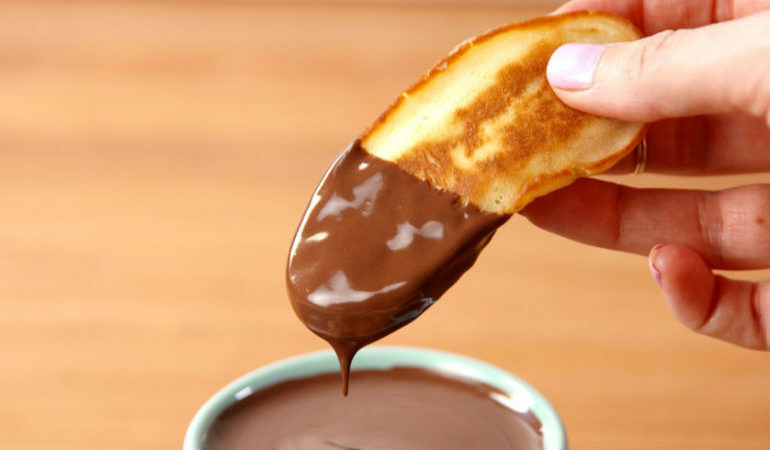 Serve with melted chocolate for dipping.